These terms and conditions govern your use of our website, www.muscatregatta.com . Our terms have been provided and approved by legal documents provider LegalCentre.co.uk. Please read the terms in full before you use this Website. If you do not accept these terms, please do not use this Website. Using the Website implies that you accept these terms. We do occasionally update these terms so please refer back to them in the future. You are permitted to use our website for your own purposes and to print and download material from this Website provided that you do not modify any content without the consent of the website creator. Material on this website must not be republished online or offline without our permission. The copyright and other intellectual property rights in all material on this Website are owned by Steve Barker and must not be reproduced without prior consent. Subject to paragraph 2.1, no part of this Website may be reproduced without prior written permission. Muscat Regatta is committed to ensuring that your privacy is protected. Should we ask you to provide certain information by which you can be identified when using this website, then you can be assured that it will only be used in accordance with this privacy statement. 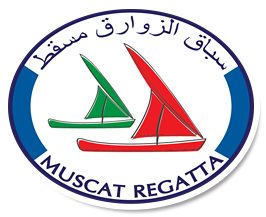 Muscat Regatta may change this policy from time to time by updating this page. You should check this page from time to time to ensure that you are happy with any changes. This policy is effective from 1st July 2010.